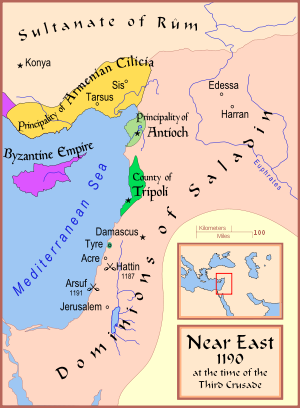 The Battle of Arsuf was a battle of the Third Crusade in which Richard I of England defeated Saladin at Arsuf. 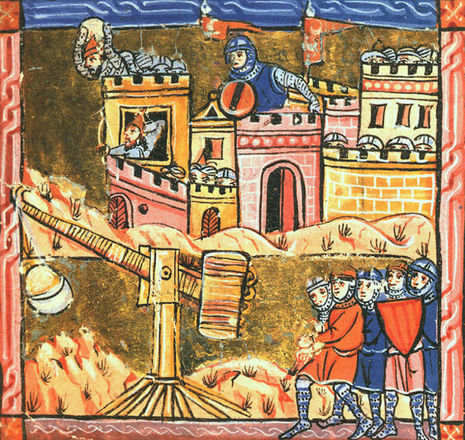 After capturing Acre in 1191, Richard fought many engagements with Saladin, whose main objective was to prevent the recapture of Jerusalem. Knowing he would need to control the port of Jaffa before making an attempt on Jerusalem, Richard began to march down the coast from Acre in August 1191. After the capture of Acre, Richard decided to march to the city of Jaffa, where he could launch an attack on Jerusalem but on September 7, 1191, at Arsuf, 30 miles (50 km) north of Jaffa, Saladin attacked Richard's army. Saladin attempted to lure Richard's forces out to be easily picked off, but Richard maintained his formation until the Hospitallers rushed in to take Saladin's right flank, while the Templars took the left. Richard then won the battle.